A fun, interactive spinner card featuring an adorable little Santa penguin, snow covered trees, and a night sky ... what could possibly say CHRISTMAS any better?! 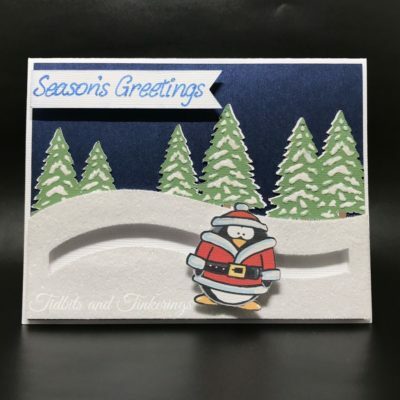 You can grab the Cricut Design Space file from here or download the SVG (minus the penguin) Christmas Spinner Card SVG. The file does not open in DesignSpace. Sorry about that! I just updated the link and it should open now.